Do you want to backup iPhone SMS, iMessage text messages to your PC/Mac computer? 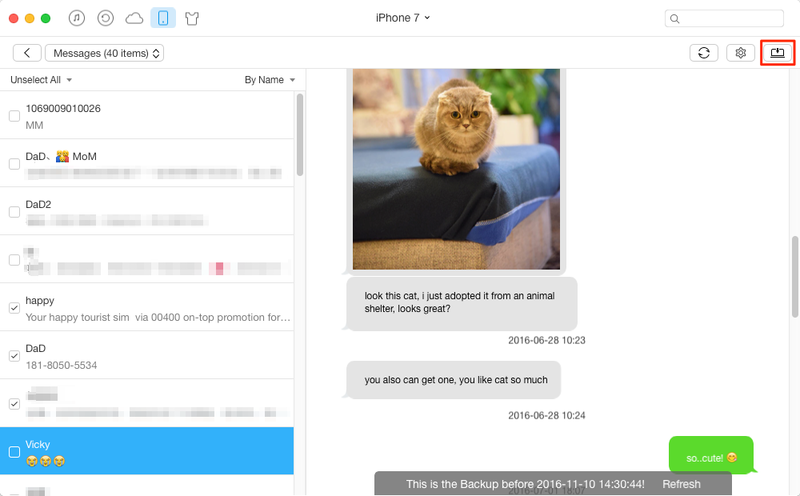 This post will show you a quick way to teach about how to backup iPhone text messages to PC, or to Mac. 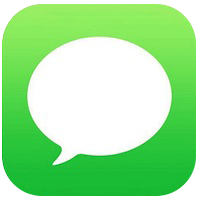 Download this handy transfer tool and back up text messages on iPhone to PC/Mac before reading this post on how to backup iPhone text messages. We'll never know what would happen to data on our iPhone. You may lose important iPhone data due to accidental reasons, like mistakenly deleted, iOS update, jailbreak, iPhone damaged, etc. Therefore, it becomes necessary to timely backup data on iPhone at usual time. When it comes to how to backup iPhone text messages, the most common methods firstly come into your mind might be iTunes backup and iCloud backup. However, both of these two methods are not the most ideal one. iTunes is a great tool designed to manage nearly all your iPhone data. You can't choose what you want to backup but back up all data on your iPhone in one time. To help you out, AnyTrans for PC & Mac is your best alternative, which is made to solve you the problem about how to backup iPhone text messages. No matter you want to back up iPhone text messages to PC, to Mac or other iDevices, AnyTrans can help you make it. Or perhaps you'd like to transfer your messages on your computer to another iPhone, iPad or iPod touch someday, you can achieve with AnyTrans, which it can not only help to backup messages on any Apple device to computer in minutes, but transfer complete messages you need to any other Apples device you want in a quick manner. Furthermore, besides messages, AnyTrans can also help you backup music, playlists, movies, photos, apps, contacts, notes, etc. Download and install it here. Make sure that you've downloaded AnyTrans and installed it on your computer before beginning to back up text messages on iPhone. Step 1. Launch AnyTrans and connect your iPhone to computer with USB cable. Step 2. 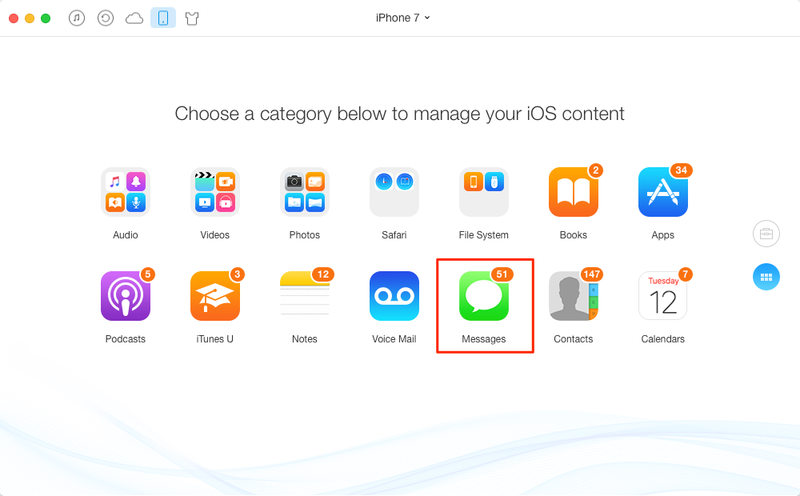 Choose Messages to enter the Messages manage page. Step 3. Select the messages you want to backup, and then tap Send to Computer button in the right corner. Only within 3 simple steps, AnyTrans finishes backing up iPhone text messages for you. How do you think this iTunes/iCloud alternative? Give it a try right now! If you like AnyTrans and this article really helps you backup iPhone text messages, please share it with more your friends. Any problems about how to backup iPhone text messages to pc, or how to backup iPhone text messages to mac, you can leave them in Comment Section below.